Chicago's finest High Spirits have announced a strings of dates for the UK/Ireland in February/March 2017. 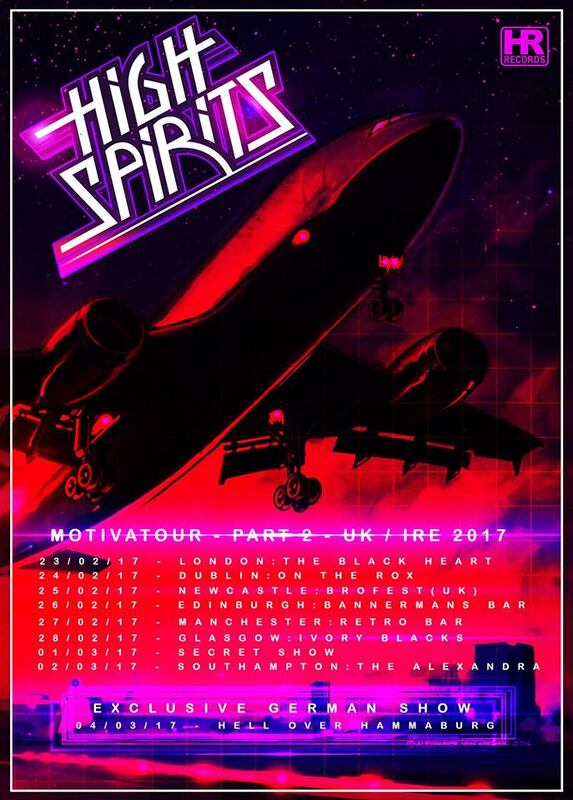 Dubbed as the Motivatour part 2 this will be the second string of live dates following their announcement of US dates last month. The tour is to promote "Motivator" their 3rd full length release which is due out on High Roller Records September 16th and can be pre-ordered here. High Spirits gets played A LOT in the metalgigs office so to say we are excited would be a little understated. Be sure to catch them on the tour, raise your fists FULL POWER!!!!!!!!!! !